She decided to be a singer when she was 5 years old. Using her "voice" as an instrument in freaky and fantastical open improvisation. She is also active in jazz, Bossa Nova and as a lyricist, composer and singer. She gave the first performance of "Menoyume" composed by Yuji Takahashi, also peformed with Kazuo Ohno(Butoh Dancer) and Shuntaro Tanikawa(poet), very familiar with the contemporary art field. ※FADO "mo" Project(Naoki Kita＋Keiki Midorikawa＋Yuki Saga)...Fado, etc. 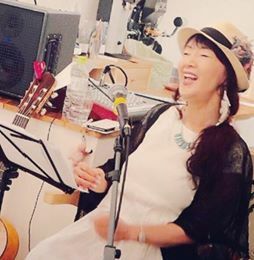 She has released many albums and conducted workshops in both within and outside Japan, currently teaches at Hot Jazz School. Copyright (C) yuki saga. All Rights Reserved.